The Danish Nature Agency is an agency under the Ministry of Environment and Food of Denmark, which manages tasks in forests, natural areas and along the shores of Denmark. The Danish Nature Agency manages the Ministry's approximately 200,000 hectares of forests and natural areas, to create the greatest possible value for society in terms of good conditions for outdoor recreation, nature protection and efficient operation of the Agency's forests and other natural areas. The Danish Nature Agency carries out practical tasks within hunting and game management and specific outdoor and nature projects - often in collaboration with other authorities, organizations and volunteers. The Danish Coastal Authority is a department within the Danish Nature Agency and is the authority for 7,300 of coastline and 103,000 km2 of Danish territorial waters. 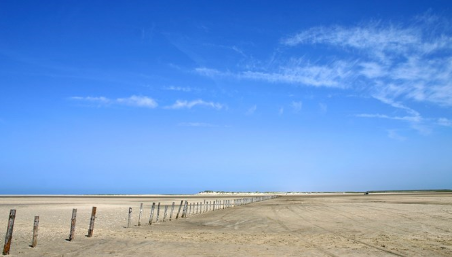 The Danish Coastal Authority manages functional and regulatory tasks concerning coastal protection, dune conservation, beach protection and the Danish state’s sovereignty over territorial waters. The Danish Coastal Authority guides citizens, municipalities and other stakeholders in matters concerning the coast. The Danish Nature Agency has approximately 700 employees, of whom approximately 85 are based at the head office in Randbøl and approximately 90 employees are associated with the Danish Coastal Authority in Lemvig. Other employees are based at the agency's 17 local units throughout in Denmark.